Toyota recall: the story so far | What Car? Toyota has now recalled more than eight million cars worldwide because of potential issues with a sticking accelerator pedal and a brake problem in its Prius hybrid. Owners in the US complain of unintended acceleration in cars that have been through the recall process and remedied. Toyota bosses, including the grandson of the company's founder, appear before a US congressional committee and admit failures in dealing with the recalls. Toyota announces it is to fit a new brake-override system to all new cars - plus it's considering recalling the Corolla model. Toyota's service centres are extending hours and working at weekends to fix the faulty pedal. An updates for the Prius's 'glitchy' brake software is also on offer. Citroen tops the league table in the number of recall programmes it launched last year, with 15 separate actions. Toyota has obtained a statement from the Association of British Insurers (ABI) to confirm that cars affected by recall notices can still be driven without affecting insurance cover. Toyota has confirmed a worldwide recall of its flagship Prius hybrid to fix a potential problem with its brakes. The recall affects more than 8500 Prius hybrid cars sold in the UK. The Toyota Prius is expected to be recalled worldwide amid fears that its brakes could fail, according to reports from Japan. Toyota's president, Akio Toyoda, has issued a statement, detailing his regret about the worry that the worldwide recall of Toyota's cars has caused his customers. 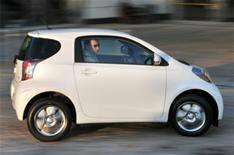 Some of Toyota's 2010 Prius hybrids may be recalled after brake problems with some cars. How to cope in the unlikely event your car's accelerator pedal gets stuck. Toyota says its UK service centres will be open for extended hours and at weekends to cope with the massive recall. Toyota has identified the vehicles in the UK that are to be recalled to rectify an accelerator safety problem. PSA, the company that owns Citroen and Peugeot, is to recall more than 97,000 Citroen C1s and Peugeot 107s. Toyota will be recalling eight models in Europe in order to solve a potential accelerator pedal problem, and Honda has announced that it will recall Jazz models after one caught fire. Toyota has revealed that it is to suspend sales of eight of its most popular vehicles in the US.